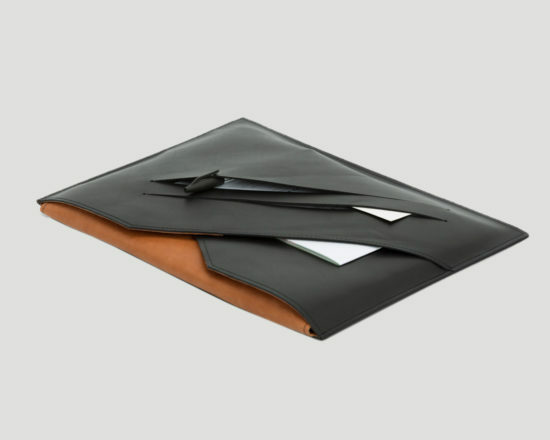 This minimalist designed laptop case is made from a combination of strong cowhide and lambskin leather. 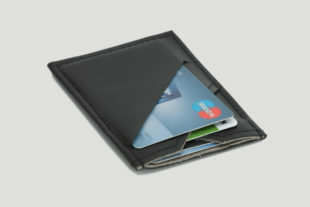 The design is defined by the raw natural edges in conjunction with a precise folding pattern and oblique slots. 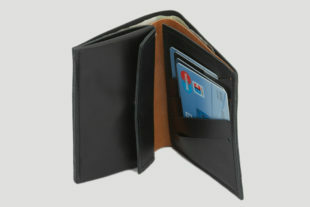 The slots form compartments can accommodate papers, pens, cables and cards. 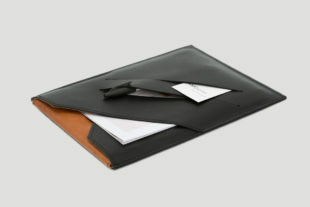 The laptop is firmly enclosed in the case and secured by an inward folded flap whilst also being protected by the robust nature of the leather.